Crayo Watch Review: Crazy For Crayo! Yes, I loved this Crayo Watch immediately! Fun, colorful, bold and easy to read so what is not to love! 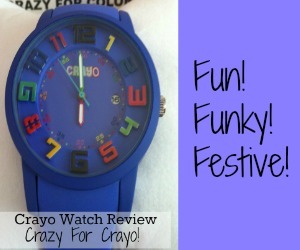 I already mentioned fun and the colors of the Crayo Festival Watch are reminiscent of Crayola crayon colors. I remember fondly my little pack of Crayola crayons. Let’s just say I am old enough to think 16 Crayola crayons in one pack was a big deal! I ordered the purple and it was a nice deep periwinkle blue/purple. Size: This is a large face watch with analog numbers. It is very easy to read. The date square is small. Style: Probably very safe to say, people will notice this watch! So be prepared. The funky fun style is a nice change of pace from my classic watch; it is a watch will elicit many smiles in its’ journey. Fit And Comfort: Lightweight. I definitely own heavier watches. Perfect for those who plays sports. Unisex watch style. Functional: Quartz movement, second hand. Large colorful numbers. Water Resistant: the watch is rated a 3 ATM which signifies the watch is suitable for everyday wear. No problem if caught in the rain, but the watch is not rated for submersing in water. Great Gift: The Crayo Festival watch makes a great gift all times of the year for any occasion. I love receiving gifts that I may not purchase for myself, but would love to have. If your friend or family member likes to wear watches as jewelry, this is a fun gift to add to their collection. Anyone who has the kid at heart attitude would appreciate the Crayo. I found my Crayo Festival through the Home And Family Show on the Hallmark Channel. There is a Thursday weekly segment called Hollywood Steals where 4-5 items are offered at deep discount. The products can be found at hollywoodsteals dot com and are only available Thursday through Monday following the televised segment. After viewing the Crayo on Home And Family and then researching the price online, I found the watch was definitely being offered at a deep discount, approximately 50% the lowest price I found online or in a brick and mortar store (and that included shipping.) My cost: $31.00. This was the first time I had ordered from Hollywood Steals so I while Hallmark and Home And Family have a trust value, I was a wee bit skeptical of the promised $2.00 flat rate shipping. Of course the $2 shipping fee was an enticement as well; I admit the thought entered my mind, $2.00 shipping? How long is that going to take? Well I was extremely and pleasantly surprised to find the Crayo in my mailbox within 5 business days after ordering. I ordered the Crayo watch on the weekend and it was delivered Friday. I noticed the shipping from address was a local address, so I suspect there is an arrangement with local distributors for shipping; now that is a good idea indeed. Crayo has a large variety of watches in many styles to suit your taste from the subdued to the colorful. 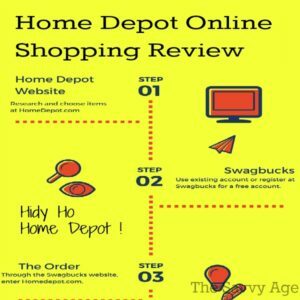 I found the largest selection of styles and colors available online; it is difficult to find the Crayo in a brick in mortar store in my area. Do your online research as some merchants have many colors of a style available and some merchants have a limited selection of color in a style. It’s definitely cute! I think it might be a fun watch for a teenager – if you could still find one who knows how to read abalog time!